crafty goodies: Sydney and Bright Blossoms are for Scrapbooking too!!! Sydney and Bright Blossoms are for Scrapbooking too!!! 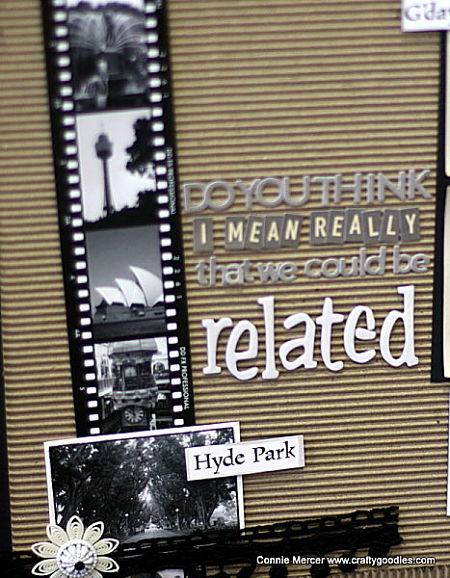 Hi everyone~I'm so excited to show you my work using the paper goods from the Sydney Collection by Darkroom Door!!! I used the Montage sheet, Wordstrips and the Filmstrips. The Filmstrips give the layout such a fabulous, unique look all its own!!! 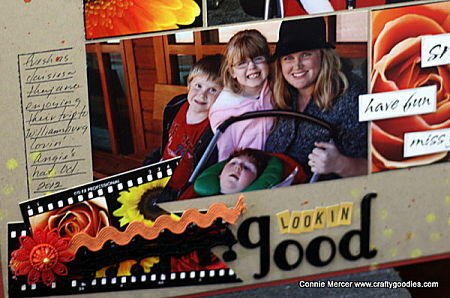 These products are perfect for adding a little trim with and clustering around the photo!!! Gives the layout color and added FUN!!!! Check out the store HERE!!! For a list of USA stockists go HERE!! Thanks for stopping by today and have a great day!!!! Check out my post on Darkroom Door!! interesting design! very beautiful colors! Fantastic layout! Love this! Gorgeous greys and love the cardboard! Wow! Gorgeous pages, Connie! I love your title work on the first page and the pops of great color on the second. 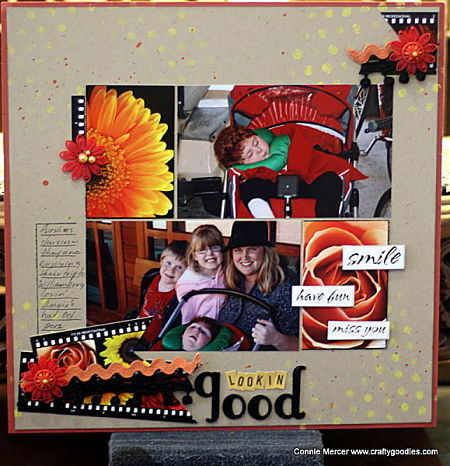 great pages- love the photo strips!! Wowwwwwwwwww! These are gorgeous!! I love love love those film strips! These are fantastic pages! Love the photo strips! Love the film strips and the pages. Gorgeous. Both of these layouts are awesome! I am absolutely swooning over the kraft/black combo of your first layout and those filmstips! Great pages! Love contrast of the brights on the grey! Great work, both pages look amazing! These are so fabulous, Connie! 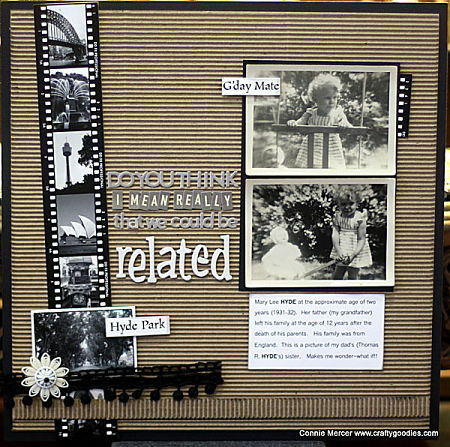 Love the way you used both filmstrips (esp the flowers!) and that awesome corrugated BG. Love both layouts. You really rock Darkroom Door!